A series of creative and fun evening workshops with the Colour Factory Artists at The Cabinet Rooms, Jewry St.,Winchester. Enjoy an evening making art or jewellery over a gin and tonic or glass of wine! Tickets cost £40 and include a 125ml glass of house wine or a G&T (25ml Bombay Sapphire & Fever-Tree), plus a two-hour tuition with a Colour Factory artist. 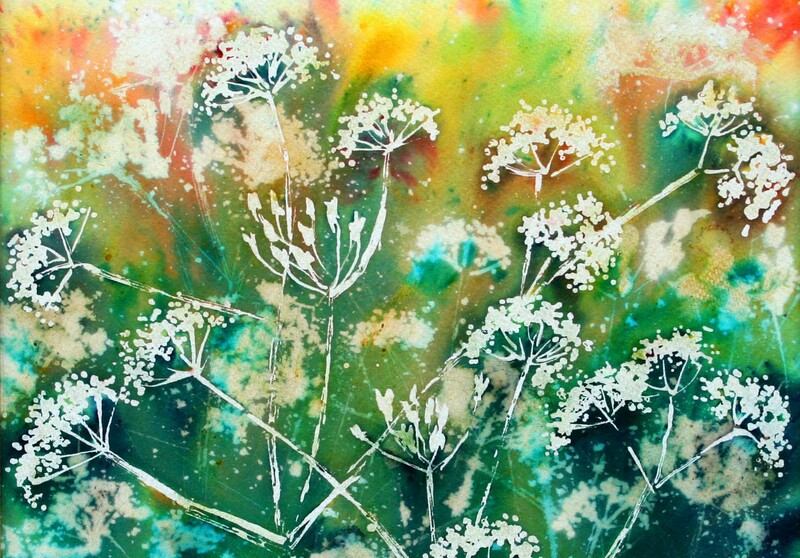 Use amazing, vibrant ink crystals and masking fluid to create a beautiful lively painting. To book a place please follow the link on the right hand side.